With such a strong farm system, and hoping to get a few key players back from injury in 2016, the Rangers do not have a large amount of pressing needs to fill this offseason. The main concern for the Rangers going into 2016 will be the bullpen as well as the health of the pitching staff. The Rangers arguably lost their divisional series in last season’s playoffs because of the poor performance of their bullpen in high leverage situations. The offense performed to expectations but the lack of a dominant eighth and ninth inning combination for the Rangers really cost them in the playoffs. Based on that performance, priority number one for the Rangers this offseason should be bolstering their bullpen both in terms of depth and perhaps in finding a new closer after the removal of Shawn Tolleson from that role in the playoffs. Beyond the bullpen, the Rangers could also use some upgrades in their starting pitching staff. The Rangers are obviously set with Cole Hamels and Yu Darvish at the top of the rotation for next year, but there are plenty of question marks behind them. Both Derek Holland and Martin Perez come with injury or performance question marks, and both Yovani Gallardo and Colby Lewis are free agents. The Rangers appear likely to bring at least one of those two guys back, but they may still be in the free agent market for a mid-tier starter, below the likes of Greinke, Cueto, etc. The Rangers are set with their rotation as is, but could do more to improve it with a smaller acquisition. As for catcher, the Rangers do have Robinson Chirinos, who did a decent job in the playoffs last season, but they could upgrade the position regardless. However, with Matt Wieters off the market, and the free agent market quite barren at catcher, the Rangers would likely have to make some sort of trade to upgrade the position. The Rangers don’t appear to be interested in a closer, ala Craig Kimbrel or Aroldis Chapman, but could very well be in the market for a late inning reliever such as O’ Day or Clippard. Clippard is obviously the cheaper option, and obviously less in demand, but the Rangers would greatly benefit from making O’ Day a priority in the coming week. The Rangers could definitely benefit from a middle of the rotation upgrade and Kazmir and Leake both fit the mold. The Rangers do have some money to spend this offseason, and both these pitchers would come at a significant discount from any of the other top of the line starters available this offseason. One of these two could be a great fit for the Rangers this offseason. One potential interesting fit on the trade front is the Tampa Bay Rays and either McGee or Boxberger. The Rangers have a clear need in the bullpen as well as the farm system that could facilitate this kind of trade. Both McGee and Boxberger are relatively cheap options for the Rangers and both are available in trade discussions. If the Rangers do decide that they need to upgrade at catcher, Jonathan Lucroy represents the best option via trade. Lucroy has already been made available by the Brewers and he represents the potential for a significant upgrade. The only issue in the way of this deal is the possible high asking price the Brewers may demand, a price the Rangers may be wary of meeting. For the Texas Rangers, there are several somewhat urgent needs that must be met if they want to go from a playoff contender next season to a World Series contender. The Rangers have some money to spend and should be active in both free agency and through trades. My prediction for the Rangers involves them signing a reliever, let’s say Tyler Clippard, as well as a second-tier starting pitcher such as Scott Kazmir. As for the trade front, the Rangers will trade for Jonathan Lucroy to solidify their catching situation going forward. Based on the Astros surprise postseason run in 2016, at this point the biggest team need for the Astros is pitching, both starting pitching and bullpen help. The Astros bullpen struggled in the postseason and was largely the reason the team failed to win their ALDS series. The bullpen collapse in Game 4 was probably the turning point of not only that series but also of the whole season for the Astros. The focus for the Astros has been on upgrading their bullpen, and they have already made inquiries on several players, including but not limited to, Craig Kimbrel, Aroldis Chapman, and Jake McGee and Brad Boxberger. As for the pitching side of things, the Astros have not been linked to any of the big free agent names but there has been speculation that they could go after one of the lesser tier arms, and perhaps even a pitcher of the caliber of Johnny Cueto. A more likely option seems to be trading from their farm system depth and acquiring a front of the line pitcher, ala Tyson Ross of the San Diego Padres of Carlos Carrasco of the Cleveland Indians. Both would require a steep price, but the Astros have the depth to get a deal done. As for first base, the Astros non-tendered Chris Carter, but may we willing to use assets from within the organization rather than outside the organization. The Astros may be unwilling to spend the money on a top of the line free agent pitcher like Johnny Cueto, but the potential is certainly there. The Astros need another top of the line pitcher to pair with Dallas Keuchel and Cueto fits the mold perfectly, regardless of the cost. With the non-tender of Chris Carter, the Astros have a void to fill at first base and in terms of offensive power. Davis fits both these needs and is a logical fit for the Astros. The same monetary concerns with Cueto also fit Davis, so it is uncertain whether the Astros go that route. The one thing the Astros need most, and something that really hurt them in the postseason last year, was the lack of a solid back-end of the bullpen. Trading for Chapman would fill this hole and would vault the Astros bullpen into the conversation to be one of the best in the league. If the prices for the various free agent pitchers are too steep, the Astros could also acquire a pitcher on the trade market. The most logical fit is Tyson Ross. The Astros have the prospects to get the deal done and Ross would come at a discounted price over the next two seasons to any free agent pitcher. In terms of the Houston Astros offseason, it is a little difficult to predict what their strategy will be. While the Astros are still a small market club, they have saved so much money over the last several years that they do have the money to spend should they be willing. My prediction is they will spend some of that money to acquire some lesser players, but they will not spend that money on a big time free agent like Cueto or Davis. The Astros will however acquire one of Tyson Ross or Aroldis Chapman, with my prediction leaning towards Ross. After a good overall season in 2015, the Angels fell short of reaching the postseason, finishing just below the Astros and Rangers. While Mike Trout was his usual herculean self, the Angels had too many holes around the diamond that they were unable to fill. Probably the biggest void was left by the departure of Josh Hamilton. The Angels tried to fill the void with a combination of David DeJesus, David Murphy, and Shane Victorino but all three struggled mightily. Outside of the outfield, the Angels did acquire Andrelton Simmons but also have lost David Freese to free agency. The Angels need a starting left fielder, as well as depth in the outfield, and are also in need of a third baseman and some infield depth in general. The Angels already signed Cliff Pennington, but it is unlikely he will be used in any starting capacity. Outside of positional players, the Angels also could use some strengthening in their bullpen as well as some veteran depth in their starting rotation. With a farm system that is largely barren following the acquisition of Simmons, the Angels will have to get creative to fill their holes this offseason. If the Angels are really serious about competing in 2016 and beyond, pairing Jason Heyward with Mike Trout and Kole Calhoun in the outfield may be their best. Heyward not only provides strong offensive value but he would also help make up one of the best defensive outfields in all of baseball. The Angels have a lot of young and talented pitchers, but they could use some veteran depth in case any of their starters falter. Ian Kennedy provides one of the cheaper options on the market and is due for a good performance with a good defense behind him. One way the Angels can improve their infield depth is through another trade acquisition ala Andrelton Simmons. While the Angels do not have a lot of minor league depth left, they should be able to find enough to give the Nationals in return for Escobar, who is an expendable piece on the Nats. Another trade option for the Nationals in the infield, at third base specifically, is Trevor Plouffe. The Twins may be willing to trade Plouffe, given Sano’s move to the outfield, but according to the general manager Terry Ryan, Plouffe will still be around in 2016. After the third place finish behind two surprising playoff teams in 2015, the Angels know they have a lot of work to do. I expect the Angels to spend some big money this offseason, given their likely inability to make further trades given their thin farm system. Jason Heyward is a good fit and makes a lot of sense in Los Angeles. Beyond him, I expect the Angels to sign a pitcher such as Ian Kennedy to a short-term contract. On the trade front, the Angels should have enough pieces to acquire Yunel Escobar and solidify the infield for next season. After a disappointing 2015 season, the Seattle Mariners have already made several big splashes this offseason under new general manager Jerry DiPoto. They have already acquired a starting pitcher, a reliever, an outfielder, and a catcher. The Mariners still have several holes to fill, but they clearly have a general manager who has no problem making things happen this offseason. Despite the busy offseason it has already been for DiPoto, the Mariners should be nowhere near finished rebuilding their roster for 2016. Despite the additions of Nori Aoki and Leonys Martin in the outfield, the Mariners still may look for another upgrade for depth purposes. Beyond that, they also still need help in both the bullpen and the pitching staff, which both struggled in 2015. With the acquisitions of Joaquin Benoit and Nate Karns, the Mariners have already taken a step forward with their pitching, but more moves are still necessary. Despite their qualifying offer being declined, the Mariners have still made it abundantly clear that re-signing Iwakuma is one of their bigger priorities this offseason. Iwakuma fits the Mariners pitching staff well and was an important part of the staff they had last season. The Mariners bullpen struggled mightily in 2015 and a lot of those struggles were at the back end. With Fernando Rodney no longer in Seattle and Joaquin Benoit now in that role, the Mariners have already made upgrades in the bullpen. Tony Sipp was one of the best lefty specialists in all of baseball last season, and makes a lot of sense in the Mariners bullpen. Given the needs in the pitching staff and bullpen, the Mariners should still be making those positions a priority this offseason. The Mariners should be able to re-sign Iwakuma and also should have enough money left over to also sign Sipp. 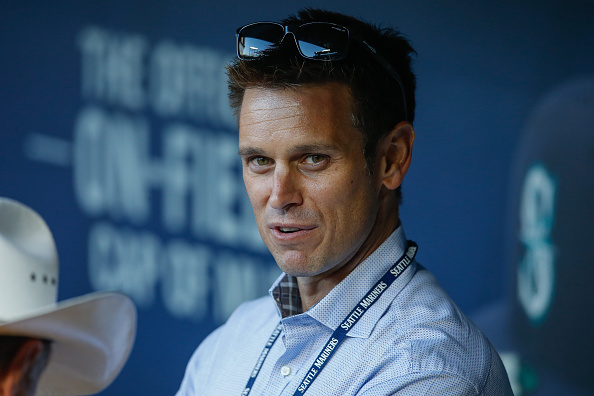 Beyond those two players, it appears likely that DiPoto still has a few trades up his sleeve, but those would be nearly impossible to predict. The team in need of the most work based on their 2015 performance is the Oakland Athletics. The Athletics had the talent to be a decent team but poor luck and poor clutch performance doomed the Athletics from the start of the season. While the A’s offense did struggle on and off throughout the season, the biggest area of weakness for Oakland last season was their poor performing bullpen. Going into the offseason it is pretty clear that, more so than anything else, the Athletics need to make some moves to add to the bullpen. Beyond the bullpen, the A’s could also benefit from some upgrades in the starting rotation. The A’s have traded away Jesse Chavez and Drew Pomeranz in separate deals which has weakened both their starting rotation and their bullpen. Given those departures, the A’s appear to be a good fit to add a pitcher or two this offseason. With the small market mindset of Billy Beane, if the A’s do upgrade their rotation it will likely be one of the cheaper options on the market. Finally, while the A’s infield is pretty much set, the team could use further outfield depth this offseason. They likely won’t be in the market for an everyday starter but could be in the market for one or two platoon like players given the age and health concerns of Coco Crisp in center field and the lack of high performance options. One player that appears like a fantastic fit for the Athletics is Doug Fister. Fister is coming off one of the worst years of his career in Washington, but he is a great bounce back candidate in 2016. Playing in the spacious home park of the Athletics will certainly help his numbers, and Fister could see a career revival in Oakland. If the A’s do choose to upgrade their outfield in 2016, Gerardo Parra appears as a cheaper option to the big free agent outfielders in this year’s class. The A’s have no real need for the best players such as Jason Heyward, Justin Upton, Yoenis Cespedes or Alex Gordon, but they do have a need for a platoon player or semi-regular starter. Parra fits that mold perfectly and will come at a fair price for the small market A’s. The most interesting potential free agent target for the A’s is Ryan Madson. The Athletics have already been linked to Madson this offseason and a deal for him would make a lot of sense. While many have guessed Madson would go to a more sure-fire contender like the Dodgers or Nationals, the Athletics would benefit greatly from having a reliever of Madson’s caliber in the pen next season. With Billy Beane at the helm, it is always nearly impossible to predict what the Athletics are going to do in any offseason. Almost no one saw the trade of Josh Donaldson coming last offseason and several other questionable trades in recent years are still on the minds of Athletics fans. I expect the A’s to add at least one pitcher and one reliever, and Fister and O’Day represent the most obvious options. However, if the A’s miss out on O’Day, it would make some sense for them to consider a reunion with Tyler Clippard. Finally I expect them to add one more depth piece in the outfield, with Parra making the most sense. Next Next post: Casey’s Statistical Follow-up Series: Who is the 2015 MLB Stopper of the Year?